Usain Bolt was born in 1986 and is a Jamaican runner and nine-time Olympic gold-medal winner. He is also known as "Lightning Bolt". Some people call him the fastest man in the world. He has run 100 metres in 9.58 seconds and 200 metres in 19.30seconds. He broke his own record in 2010. He took part in the 2012 London Olympics, and won gold in the 100m, 200m and 4 × 100 m relay. 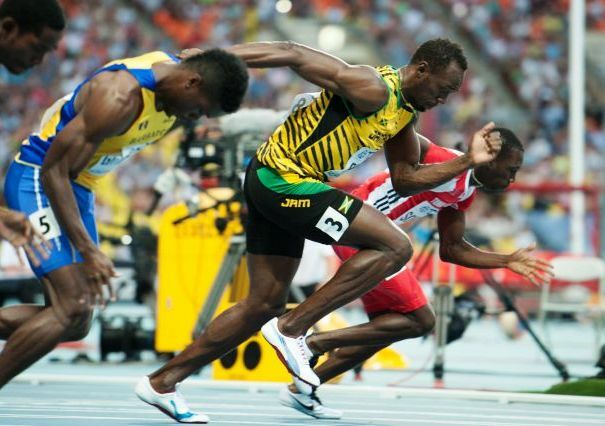 Bolt holds a considerable lead over his rivals in the closing stages of the 2008 100 m final in Beijing. Bolt doing the "Lightning Bolt" just before breaking the 200 m world record in the Beijing National Stadium. 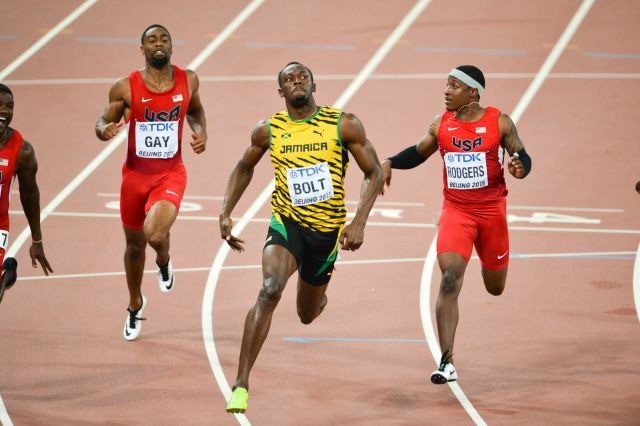 Bolt during the 200 m final at the 2011 World Championships in Daegu. Bolt at the start of his record-breaking win during the 100 metres final at the 2012 Summer Olympics. Bolt celebrating at the 2013 London Anniversary Games. Bolt and Andre De Grasse after running the 100 m final at the 2016 Olympics. Bolt with the IAAF men's Athlete of the Year award in Monaco. 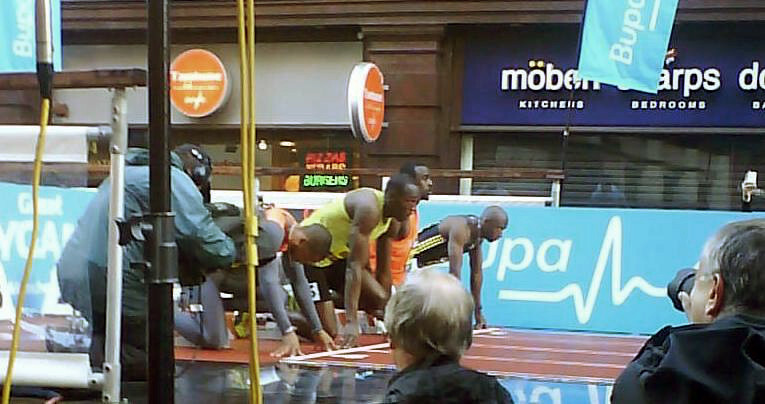 Bolt wearing Puma shoes as part of a sponsorship deal. Usain Bolt Facts for Kids. Kiddle Encyclopedia.